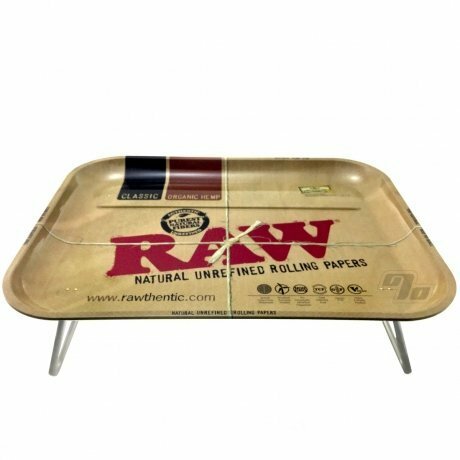 Take the largest RAW rolling tray ever and add fold out legs; not only are you rolling anywhere you're also taking care of the munchies in style. 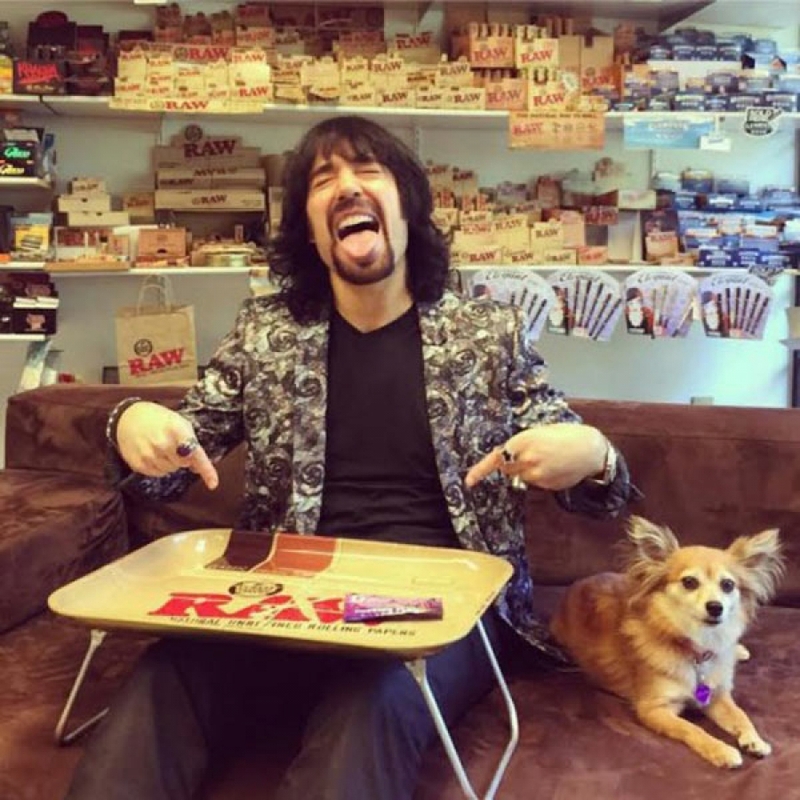 Brought to you by RAW Rolling Papers of course. 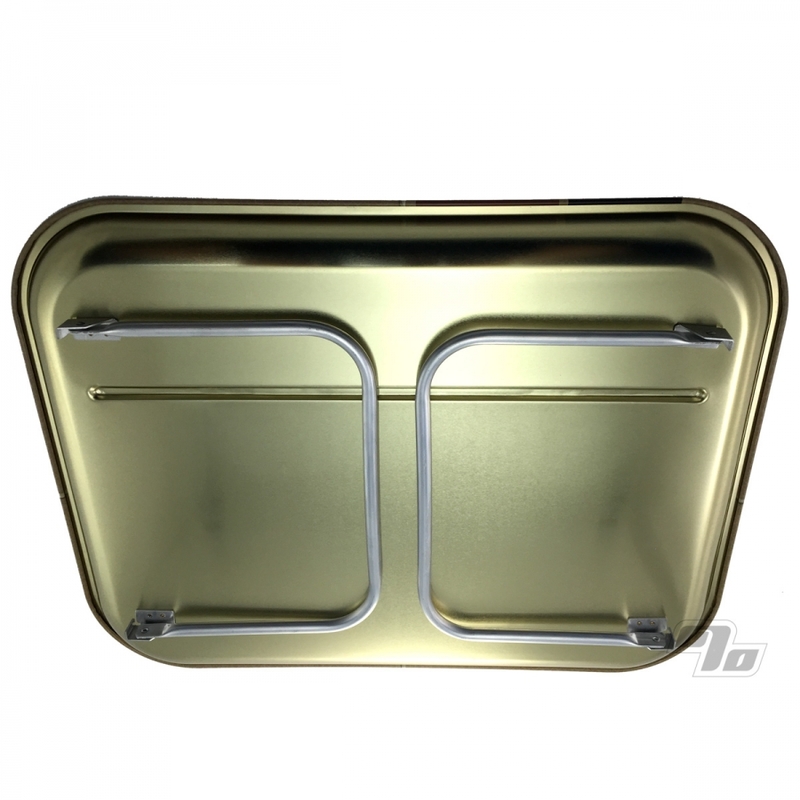 Massive metal tray with curved edges to hold all your tobacco while you roll some smokes up and a raised ridge on the top to keep papers from sliding about. Super Sized at 20 x 15 inches. All high rollers need to pick up this instant classic for rolling up then snacking afterwards. This tray is so convenient, fits perfectly on my lap. It's great for not making a mess all over the couch or table!! Holds all my smoking tools. It looks great had it for a while and no scratches, fading or dents. I did price check this against ebay ad amazon and 1percent had the best price by far. Awesome. 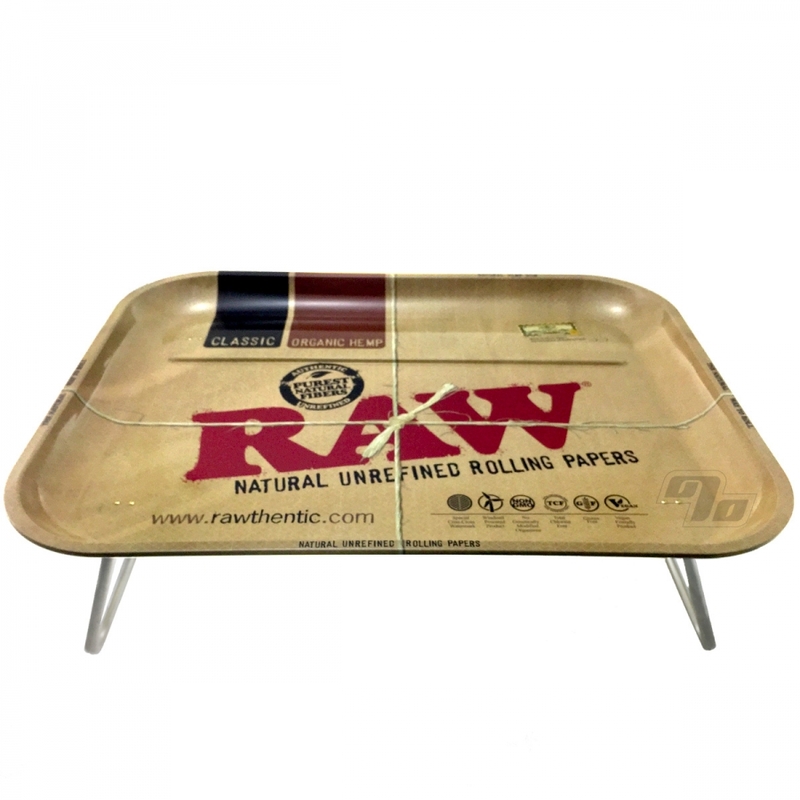 Big enough to fit all your rolling supplies and when your done rolling, you can use it to eat dinner on too. Love 1 percent!